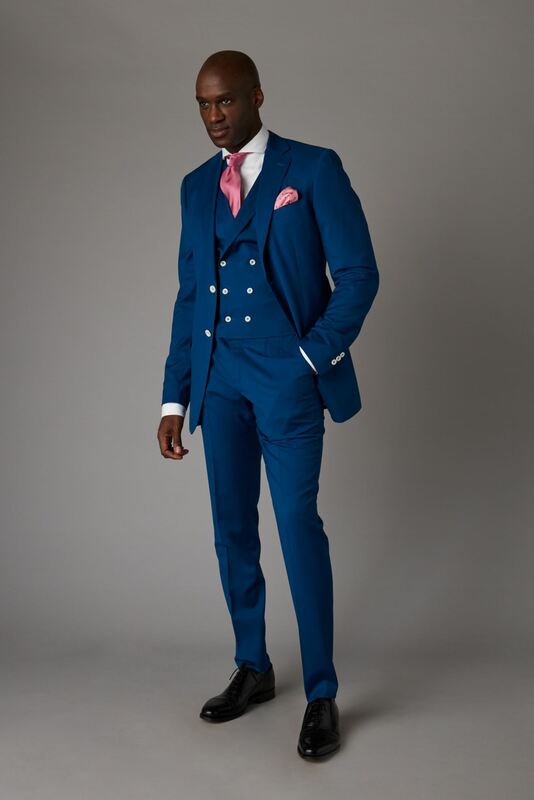 Epitomise effortless cool in our blue three piece. 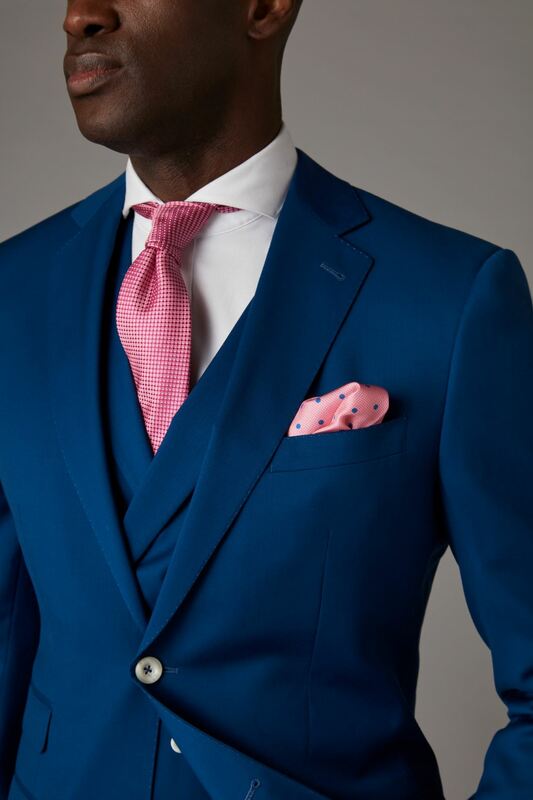 With a single breasted jacket for a streamlined silhouette, this classic blue number features hand-stitched notched lapels for a contemporary feel, with reinforced buttons, double-stitched lining and flap pockets. 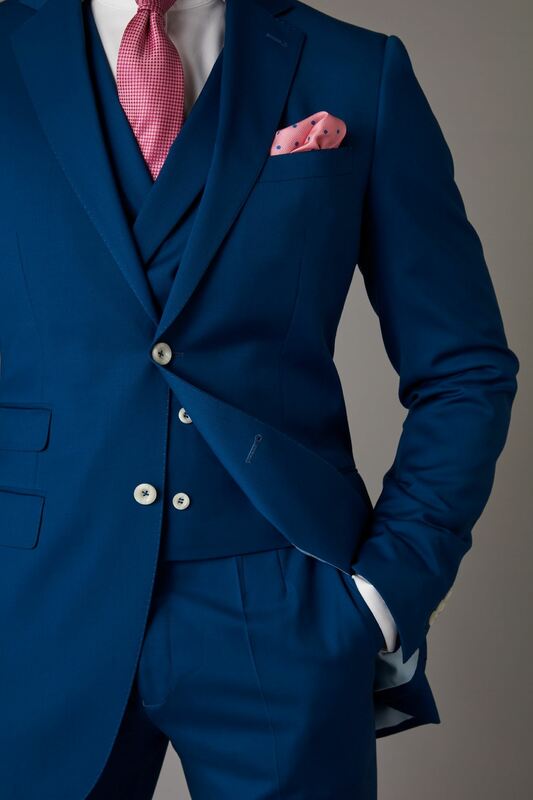 A double-breasted blue waistcoat instantly smartens up your style. 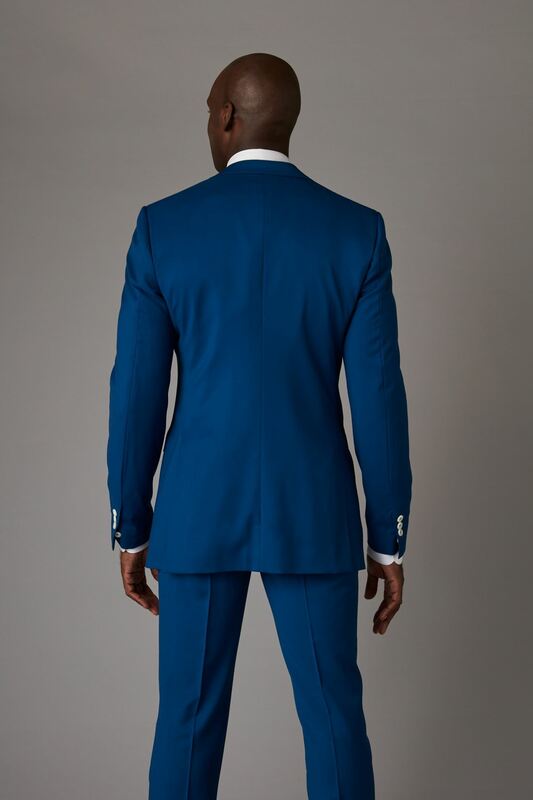 All our suits are fit-focused and custom-made on demand with fabrics ethically sourced from Australia. 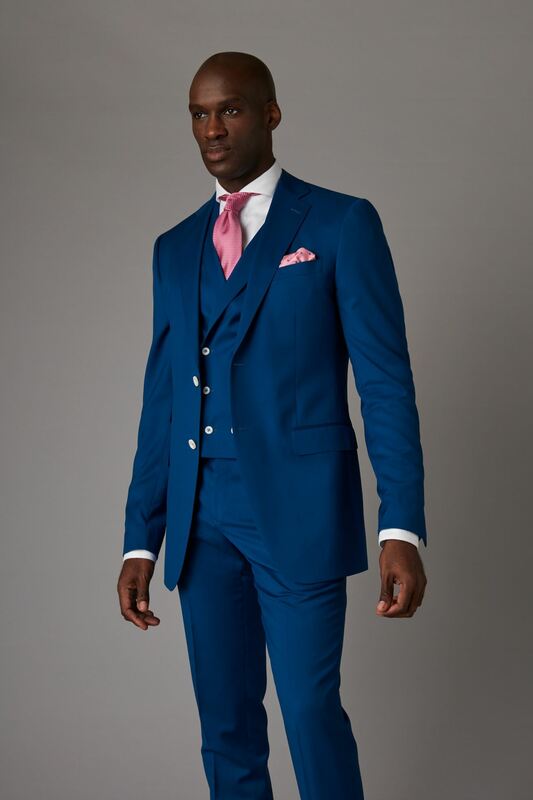 Pair with a white shirt and black shoes for the ultimate wedding style.